Rattlesnakes come in different varieties and there are numerous sub species and colour variations. 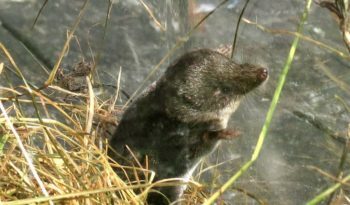 However, one characteristic that they do have in common is jointed rattles on their tail. Rattlesnakes are a group of venomous snakes, genera ‘Crotalus’ and ‘Sistrurus’. Rattlesnakes belong to the class of venomous snakes known commonly as ‘pit vipers’. There are nearly fifty species of rattlesnake, with numerous subspecies. Rattlesnakes are named for the rattle found at the tip of their tails that is used as a warning device when threatened. The largest Rattlesnake is the Eastern Diamondback (Crotalus adamanteus) which grows up to 8 feet (2.4 metres) and weighs 4 to 10 pounds (1.8 to 4.5 kilograms). The smallest is the Ridge-nosed Rattlesnake (Crotalus willardi) at 12 inches (30.5 centimetres) long and weighing 3 to 4 ounces (85 to 113 grams). Most species of Rattlesnake are 24 to 48 inches (61 to 122 centimetres) long. Rattlesnakes have either a rattle or a partial rattle made of interlocking rings of keratin (the same material our fingernails are made of). 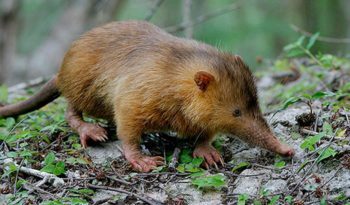 When vibrated, the rattles create a rattling sound that warns off large hoofed animals or predators. Another unique characteristic is the ‘pit’ on each side of the head, a heat-sensitive organ for locating prey. Each time a Rattlesnake sheds its skin, a new rattle segment is added. 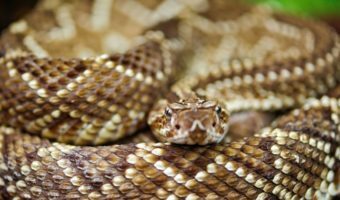 Since Rattlesnakes may shed their skins several times a year depending on food supply and growth rates and since the rattle can and does break, there is little truth to the claim that one can tell a rattlesnakes age from the number of beads in its rattle. Newborn rattlesnakes do not have functional rattles. It is not until after they have shed their skin for the first time that they gain an additional bead. The new bead beats against the first bead, known as the ‘button’, to create the rattling sound. Adult snakes may lose their rattles on occasion, however, more appear at each molting. If the rattle absorbs enough water in wet weather, it will not make a noise. Red diamond rattlesnake (Crotalus exsul ruber) – San Diego’s largest snake species may be found from San Bernardino and Riverside counties down into Baja California, Mexico. Red diamond rattlesnakes are common in areas with little development, especially near rocky outcroppings. Food consists of anything from small lizards to rabbits and squirrels. Southern Pacific Rattlesnake (Crotalus helleri) – Also called a western rattlesnake, this is the most common species and may be found near housing developments, parks and even the beach. The Southern Pacific Rattlesnakes range is from coastal Southern California to northwestern Baja California, Mexico, and they are commonly found on prairies or sage scrub/grassland areas, especially near rocky outcroppings. Like the red diamondback, the southern Pacific rattlesnake feeds mainly on reptiles and mammals, as well as birds. Southwestern speckled rattlesnake (Crotalus mitchelli pyrrhus) – This species is the least seen in Southern California because it tends to be shy and avoids populated areas. 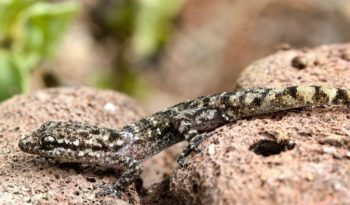 From the foothills of the Cuyamaca Mountains to the peaks and down into the deserts to the east, their preferred habitat is in granite rocky outcroppings. They can range into southern Nevada, western Arizona, and into northern Baja California. Rattlesnakes tend to hunt at dusk. They begin to move and look for a good spot to ambush a mouse, rat, ground squirrel or rabbit. The Rattlesnakes forked tongue flicks in and out, picking up odour particles from the ground and passing them over a special smelling organ in the roof of the mouth, called the ‘Jacobson’s organ’. The Rattlesnake lies in wait until its prey comes along. Even in total darkness, its prey will be visible to the snake. This is because the heat-sensitive pits on each side of the snakes head will detect the heat from the prey and nerves transmit this information to the same area in the brain that receives optic nerve impulses. It is accurate to say the rattlesnake can see a heat image of its prey and it can strike in darkness if the prey is even slightly warmer than its background. The rattlesnakes fangs inject venom into its prey. The species and habitat of the Rattlesnake determines how potent its venom is. After the strike, the snake flicks its forked tongue in and out, picking up odour particles from the ground to help it locate the trail of the dying prey in the dark. Rattlesnakes feed on rodents and other small animals, subduing them with a venomous bite as opposed to constricting. The venom stuns or kills typical rattlesnake prey immediately. A rattlesnake will follow prey that does not quickly succumb to the venom and attempts to escape. Rattlesnakes are especially known to strike at distances up to two-thirds their body length. Rattlesnakes are prey for kingsnakes, roadrunners, pig, hawks and eagles. Rattlesnakes have also been harvested as human food. Rattlesnakes do not lay eggs in nests. They actually give birth to live young. This type of reproduction is known as ovoviviparous. Female rattlesnakes only reproduce once every two years and carry the eggs inside their bodies for about 90 days. Young rattlesnakes are almost independent just minutes after they are born and in some species their venom is more toxic than the adults venom. At one to two weeks, they shed their skin and the first segment of their rattle is created (this happens each time they shed their skin). 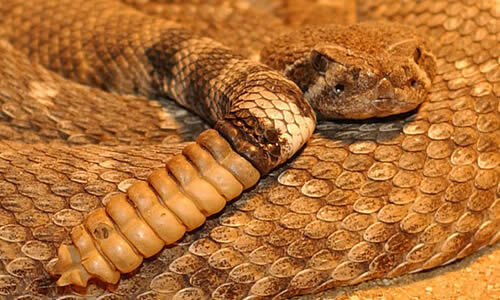 When a bite from a Rattlesnake occurs, the amount of venom injected cannot be gauged easily. Symptoms and swelling may occur quickly, however, in some cases hours may pass before serious effects appear. 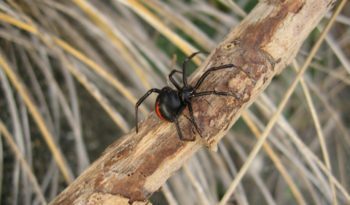 Quick medical attention is critical and treatment typically requires antivenin/antivenom to block the tissue destruction, nerve effects and blood-clotting disorders common with rattlesnake venom. Most medical experts recommend keeping the area of the bite below the level of the heart. It is important to keep a snake bite victim calm in order to avoid elevating their heart rate and accelerating the circulation of venom within the body.